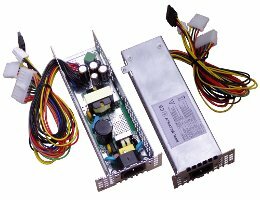 The DP012A is a universal high efficiency fanless AC full range input (100~230V) ATX power supply unit designed for supplying of Mini-ITX form factor motherboards with low power consuption in mini-chassis DS11, DS12, DS15, DS16, DS19, DW62 and DW69. 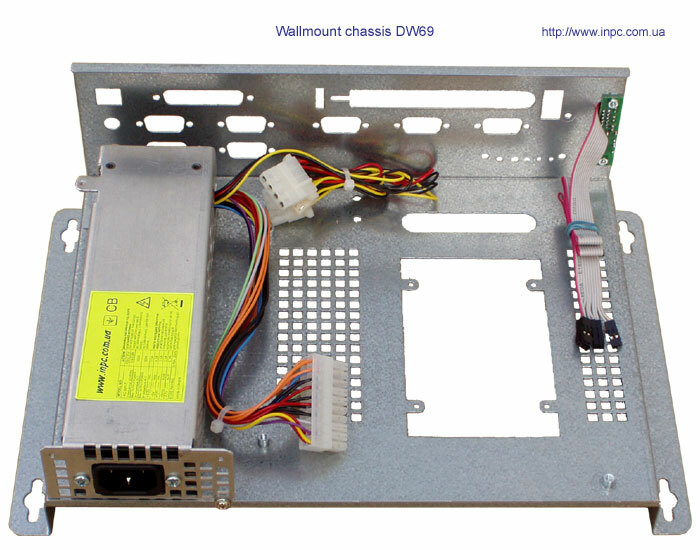 To install in these chassis the DP010 should be equipped with frames. For DS15 - with frame F1 and for DS11, DS16, DS19, DW69 - with frame F2 (see application notes below). 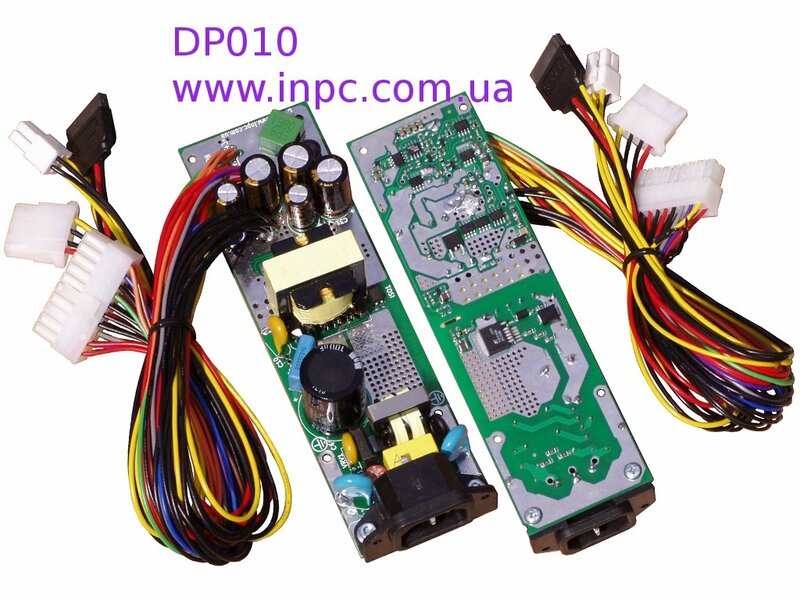 A characteristic feature of the DP010 is high efficiency and this is achieved by using MOSFET as rectifier (synchronous rectifier). Thanks to high efficiency the DP010 contain no heatsink or fan! 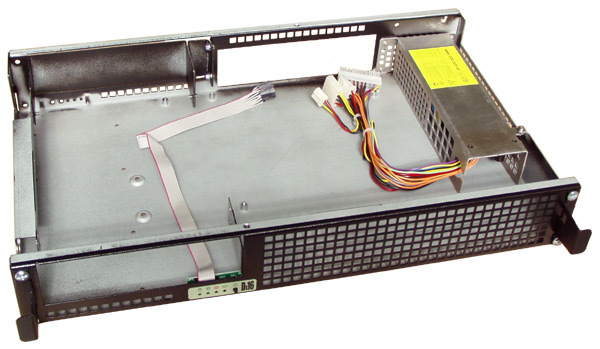 DP010 is able to supply load power 50W a long time even there is no forced air cooling. 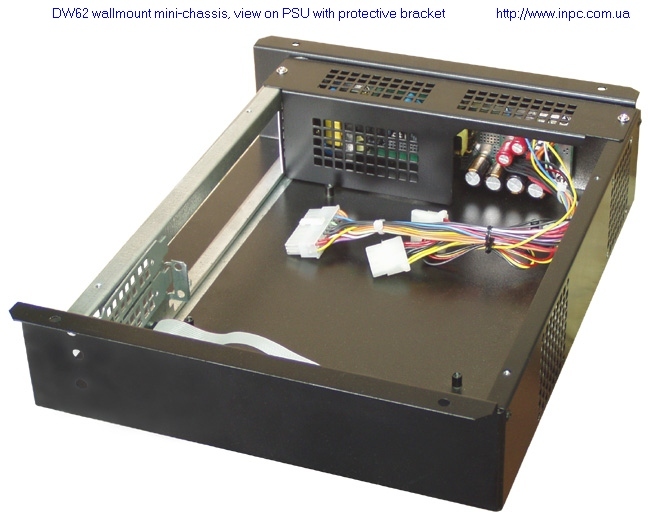 There is just a convectional movement of heated air enough in PSU enclosure. Another strong point of the DP010 - is the ability to operate without any load on the rail (+5 Vsb, +5 V, +3.3 V, +12 V,-12V) is very important for stable operation of the system that is built on modern Mini-ITX boards with low power consumption. This is especially requested feature for systems with dynamic consumption on rails +5 V and +3.3 V. To do this the DP010 uses separate synchronous buck converter for the +3.3 V rail. 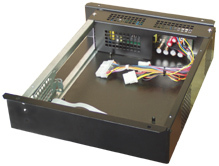 The DP010 has no ballast resistor to achieve high efficiency at low load. 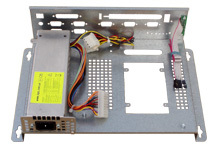 Wide used PSUs suffer a significant drop of efficiency for power 20W or less. 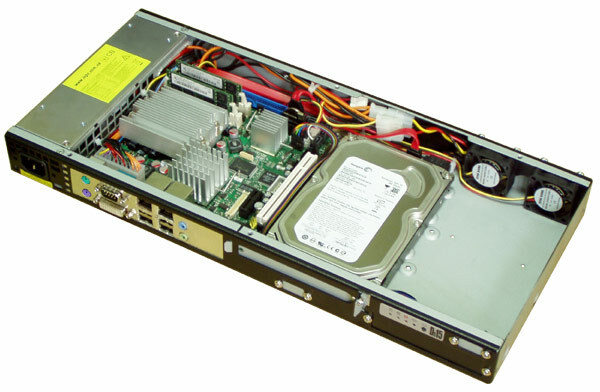 With an average consumption of a built-in low power CPU Mini-ITX motherboard around 20W, DP010 consumes AC max 25W. 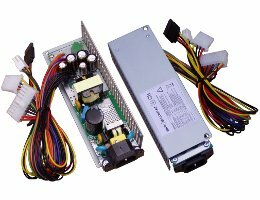 These outstanding results make the DP010 one of the best offers on the PSU market for systems with low power cunsumption.